This book was part of Autumn‘s English curriculum at UT, needless to say, the book is in pristine condition. 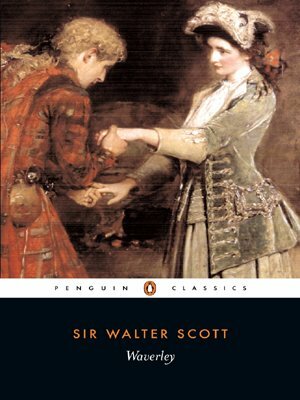 Waverley is considered the first “historical fiction.” After it was published, the genre became extremely popular. Written in 1805, getting through it can be a bit laborious. Descriptions are long-winded as you might imagine. Being old, the text is full of outdated references. The editor’s notes in the back are extremely handy. Unfortunately, it is full of dialogue written with a Scottish accent. That means not only do some of the terms not make sense because of the age of the work, but much of it is nigh incomprehensible. Gaelic, French, and Latin appear throughout the book. Much of this is translated in the back, but not all of it. The first third of the work was utterly terrible slow going. I honestly had to force myself to continue reading. Eventually, things start to pick up a bit as the protagonist finds himself involved in the Jacobite Rebellion of 1745. Once that happens, the novel assumes an excellent pace and actually becomes quite exciting. Oh, and the whole silly thing is really just a love story.